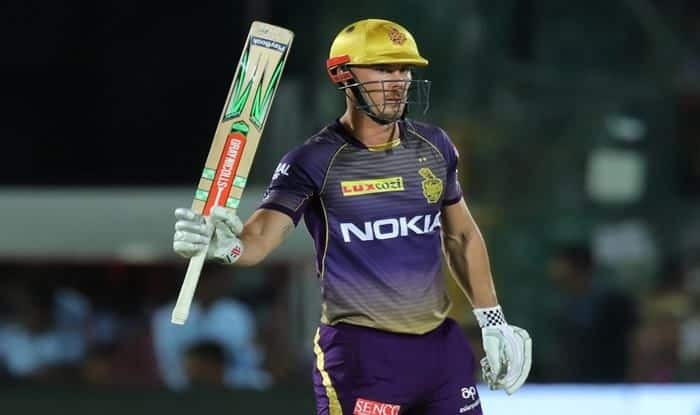 The win over Royals took KKR to the top of the table with eight points from five matches (4 wins and 1 loss), it was also the best of this season in terms of the number of balls to spare. The stadium was also engulfed by a sandstorm before the tie but in the end it was the home side who were swept away by KKR who first put up a brilliant bowling performance to restrict the Royals to 139/3 and then running away with the match in quick time. Robin Uthappa gave the finishing touches with 26 not out from 16 balls as KKR reached 140 for 2 in 13.5 overs. KKR took 10 runs from the first over bowled by Dhawal Kulkarni with Lynn hitting two boundaries but more fireworks came in the second over with Narine smashing a six and four boundaries to take 22 runs off Krishnappa Gowtham. The stunned home crowd then witnessed Rahul Tripathi dropping Narine in the first ball of the fourth over bowled by Kulkarni and then endured the agony of seeing a lucky Lynn surviving despite an inside edge off his bat hitting the stumps. The inside edge glanced the leg stump but the bails could not be dislodged to the misery of Kulkarni and the home team. The scoring rate dropped a bit but KKR still scored 65 for no loss in the powerplay overs. Debutant leg-spinner Sudhesan Midhun looked promising for a few balls before Narine sent him for two sixes in the eighth over. Earlier, Australian batsman Steve Smith struck his first half century of this IPL season as he remained not out on 73 off 59 deliveries to anchor Rajasthan Royals to 139 for 3 after the home side were invited to bat on a tricky track. The former Australia captain, who returned to competitive cricket last month after serving one-year ban for his involvement in the infamous ball-tampering scandal in South Africa, hit seven fours and one six in his unbeaten knock. He shared 72 runs in 10.4 overs with opener Jos Buttler (37 off 34 balls) for the second wicket after captain Ajinkya Rahane was out cheaply for 5 in the second over. The home side were 56 for 1 at halfway stage but increased the scoring rate at the back end of the innings to add 83 runs from the next 10 overs with Smith scoring the bulk of the runs. The Royals were immediately at the backfoot as soon as the match started as Rahane was trapped LBW by Prasidh Krishna when the scoreboard read just 5. Buttler hit a couple of fours in the fourth over bowled by Krishna and after that runs were hard to come by before one-down Smith hit another couple of boundaries in the ninth over off Kuldeep Yadav. Buttler hit the first six of the match in 12th over bowled by debutant pacer Harry Gurney (2/25) but he was out while going for another big shot with Subhman Gill taking a fine catch near the boundary ropes. Smith reached to his 50 off 44 deliveries in the 15th over and then opened up his arms in search of runs. He hit a massive six off Narine in the 18th over and a couple of boundaries in the next two overs to take Rajasthan Royals to a respectable total.